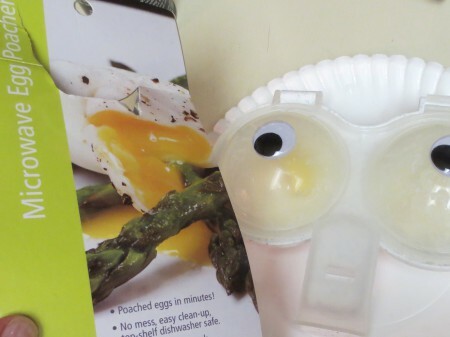 Microwave Egg Poacher: A Bad End To National Egg Month. 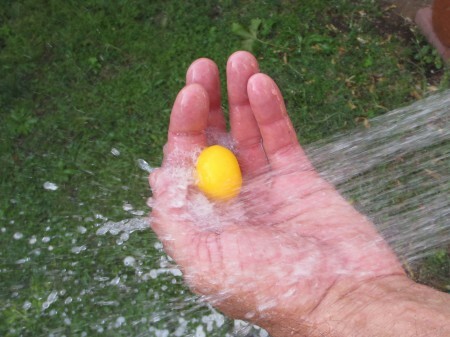 Yes, it’s also National Egg Month — There seems to be a day or month for every food. 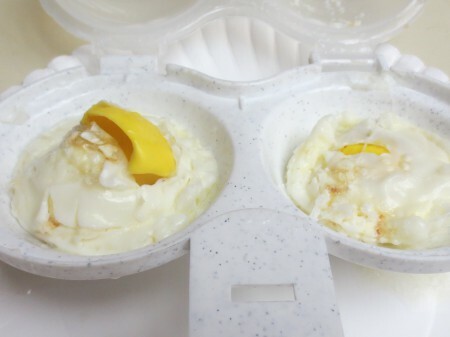 I bought this Microwave Egg Poacher because it was under $2.00, but PEEEE. UUUU. It stunk up the house while cooking and just plain stinks in all ways. 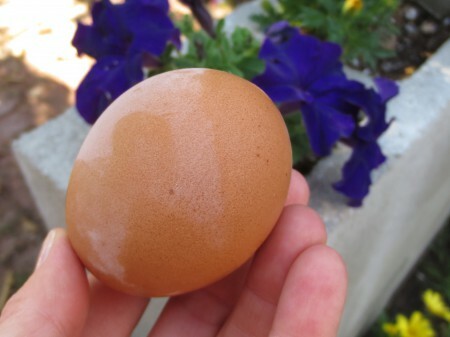 When the lid/top is fully open, it tilts the bottom/base causing some of the raw Egg to fall out — Not good. 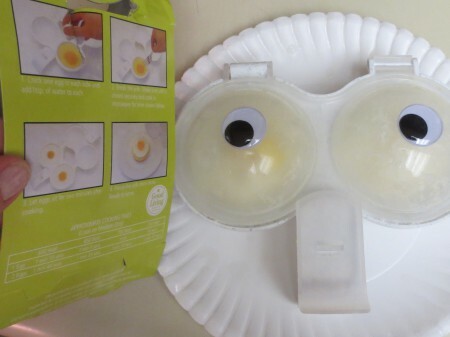 The result was an Egg horror film, hahaha — I was literally frightened by how they looked. 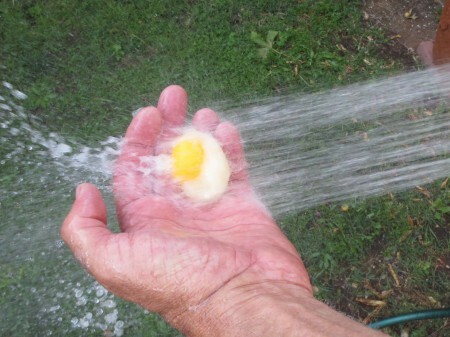 The Yolk was desperately trying to get away and/or cooked to hell — A stinky, scary situation! 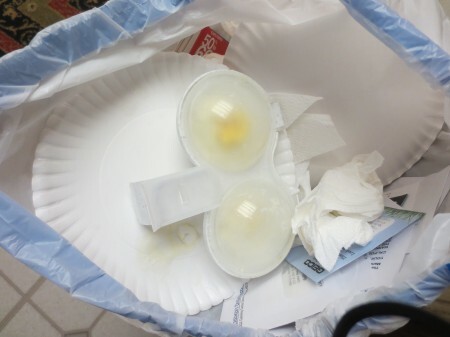 Didn’t even want to taste it, so all went into the trash — Eyes were reserved for transplant onto other food. 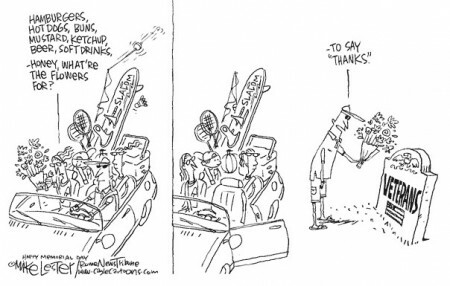 They were added to improve its look and for a redeeming feature chuckle. 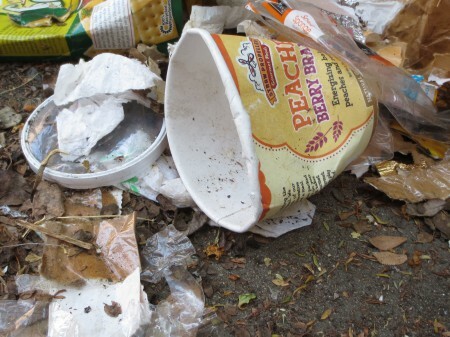 As a better replacement, I was hoping to find an Eclair on top of the trash. I’d eat it. 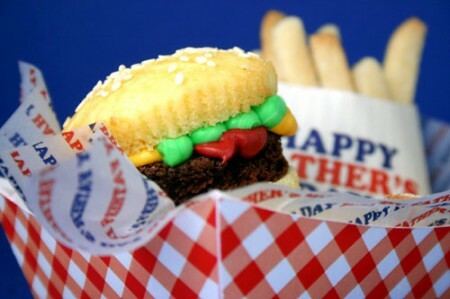 Cupcakes On National Hamburger Day In National Hamburger Month. Today is National Hamburger Day in May, National Hamburger Month — It’s okay, have one. 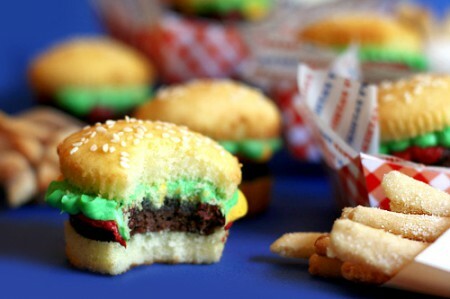 The only way to have a Cupcake is with a Brownie in the middle — It’s the Burger part of the pictured Hamburger Cupcake. To make the rest, simply cut a Yellow Cake Cupcake in half, top with a round-cut Brownie, yellow (for Mustard), red (for Ketchup) and green (for Lettuce) Frosting, and then top with other half of the Cupcake and Sesame Seeds. 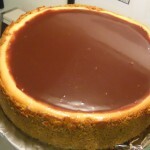 Dessert of the day. 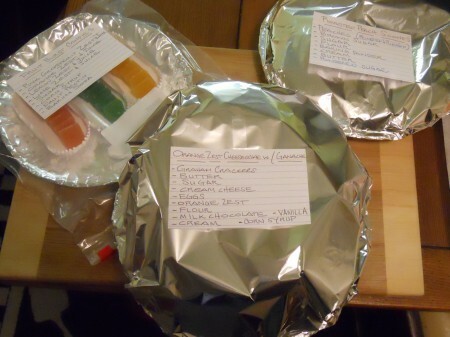 Memorial Day Weekend: The Actual Time When Food Is Secondary. Thank you isn’t enough for such an important sacrifice — We’re forever grateful here. 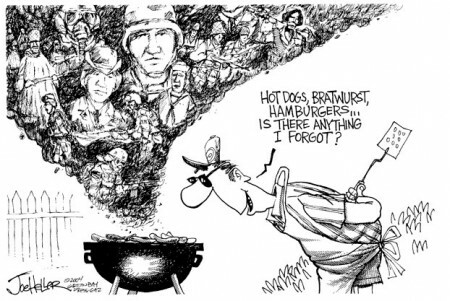 Now free to BBQ in America. Honor, and then chow down — A Hot Dog and Hamburger for me, please. Honor Memorial Day This Way: Our Brave Soldiers Allow Us Every Day. 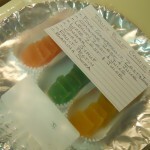 Do you need a recipe for the pictured dessert? If so, it’s here. 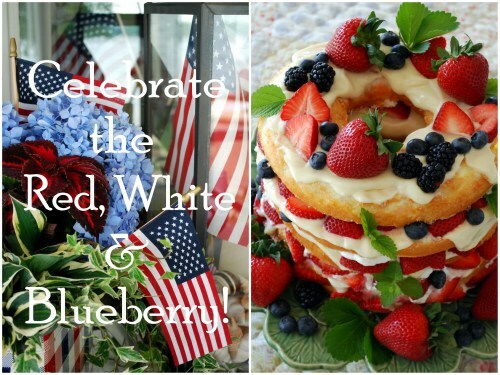 I’d use fresh Whipped Cream between the layers, or Lemon Curd and Cream Cheese like its publisher. 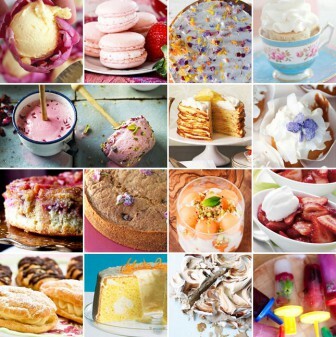 You can use Pudding or whatever you want. And the rest is visually apparent, right? It’s an impressive Holiday Layer Cake that’s easy to make with a store bought Angel Food Cake. Cherish Memorial Day. Popcorn Take Me Away: The Food Connection To Bring This Here. 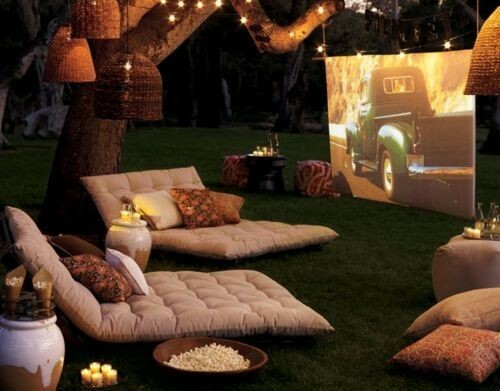 Why not set-up a theater in your backyard? Doesn’t this look cozy? Now, what movie? 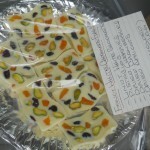 How To Enter A Culinary Arts Competition At The Orange County Fair. If you don’t enter, you can’t win. Why not enter? 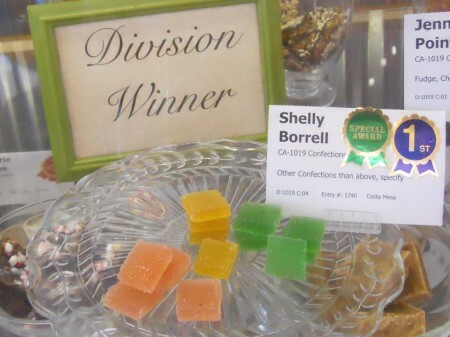 Anyone can win a Culinary Arts Competition at the Orange County Fair. The deadline for competition entries is fast approaching. Do you know how to enter? 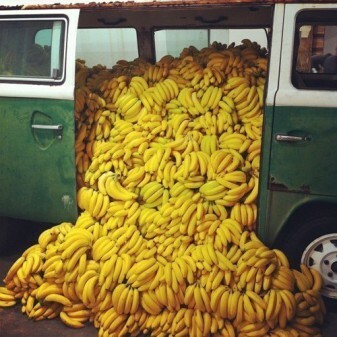 Do you know what to do after you enter? 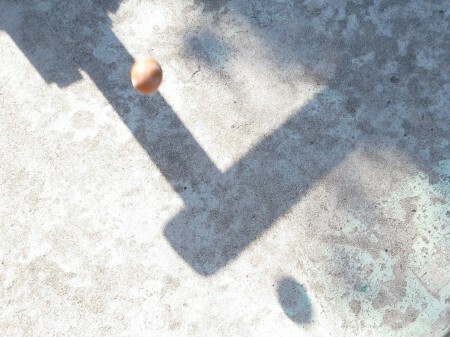 If not, this post may help. 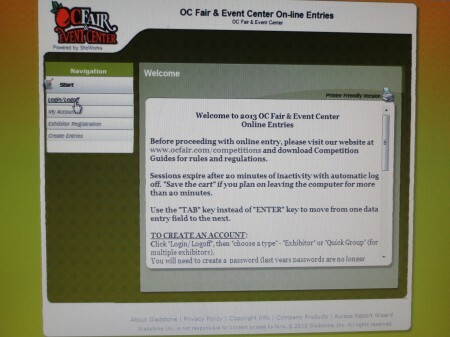 First, enter (most competitions) online — The OC Fair’s website can get you on the way. 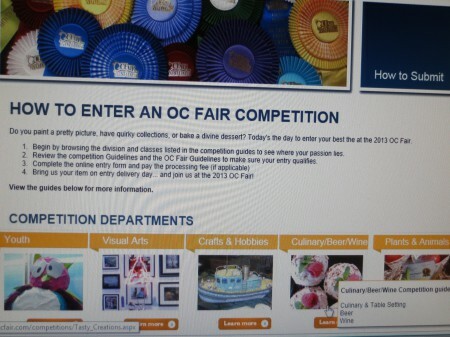 Go to the OC Fair Competitions’ page to learn ‘How to Enter an OC Fair Competition’. 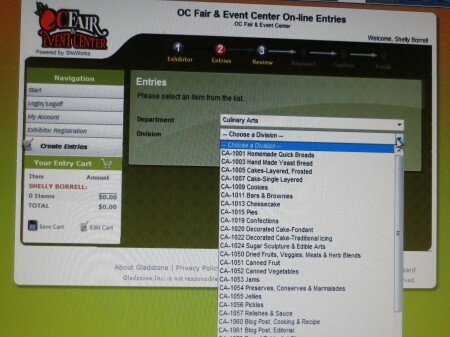 When you’re ready to enter, visit the OC Fair & Event Center On-line Entries page (below). 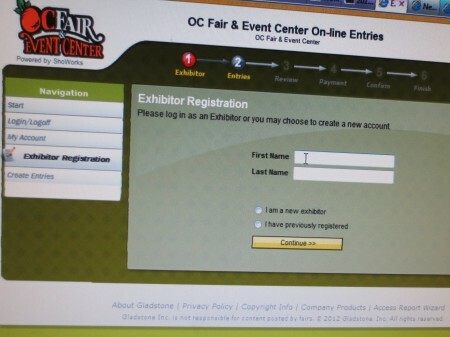 Entrants are called Exhibitors, thus register as such before entering a competition. 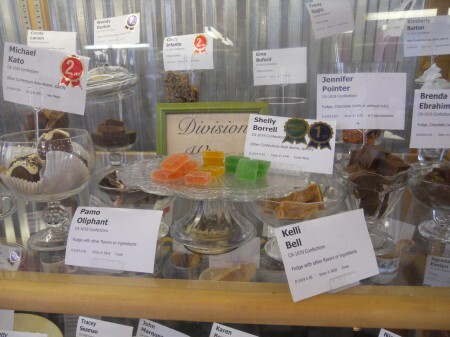 Choose Department (Culinary Arts in this instance), then Division and Class for each entry. 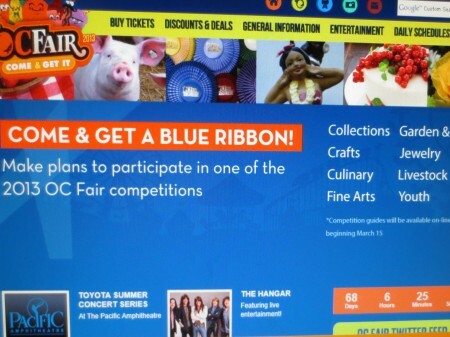 Each entry costs $5.00 and one ticket to the OC Fair is presented on delivery day. After online entry, note delivery date and time and have all goods ready — Learn more here. 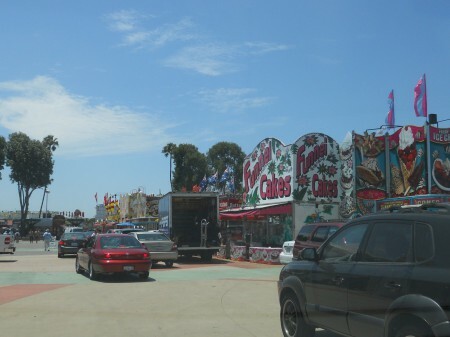 On delivery day you’ll drive onto the fairgrounds, while all is being assembled for opening day. 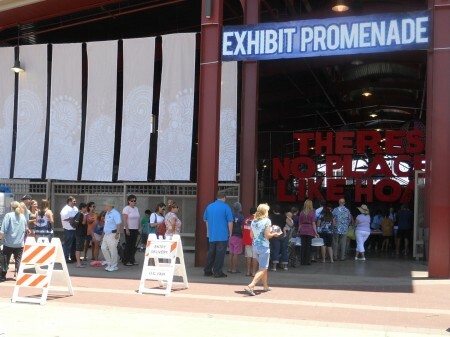 Culinary Arts Competition entries are generally submitted at the Exhibit Promenade (above). 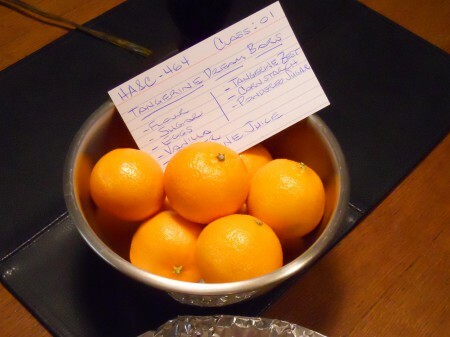 All entries must have a list of ingredients on an index card attached, as shown above. 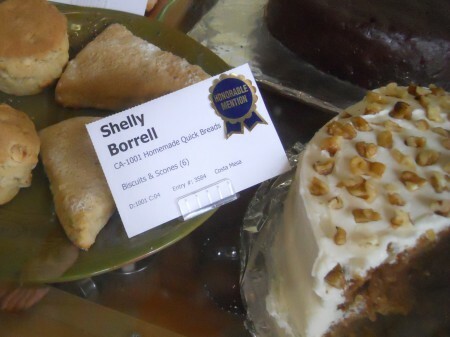 Pictured herein are previously submitted entries and a was-gonna-be entry mishap below. 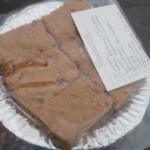 The above was going to be Tangerine Dream Bars (similar to Lemon Bars), but it didn’t set. 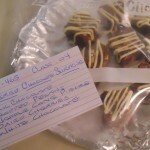 Fortunately most past entries have turned out well — It’s what’s hoped for on delivery day. 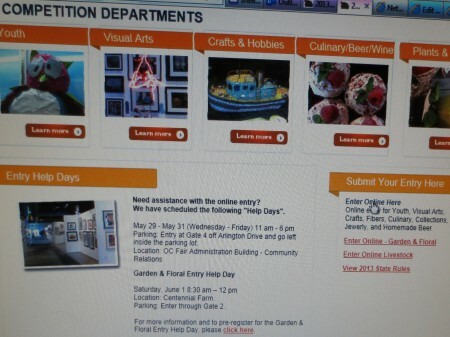 Above shows what YOUR entry/submission should look like, and below shows what it could look like when checking the competition results displayed on opening day at the OC Fair. It’s exciting to see how well you did or didn’t do — You can’t win ’em all. 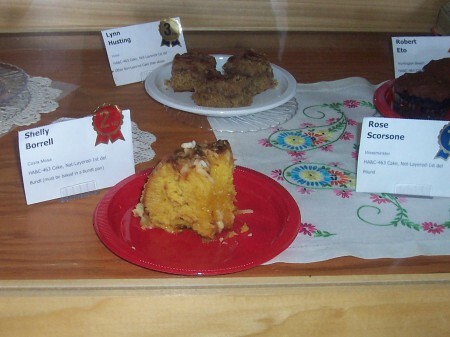 Entering a competition at any Fair makes all more fun. 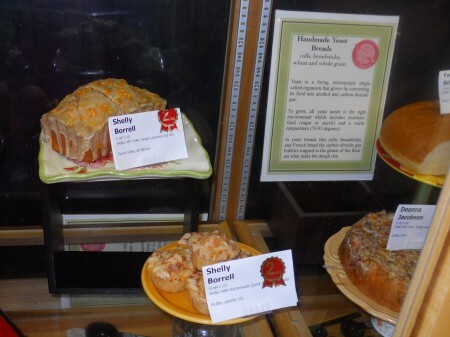 June 10th, 2013 is the last day to enter the Culinary Arts Competition (excluding Special Culinary Contests) online — See the Culinary Arts Competition Guidelines for all specifics. 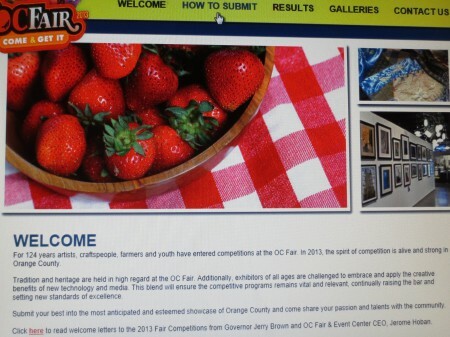 Guidelines are available for all OC Fair Competitions. 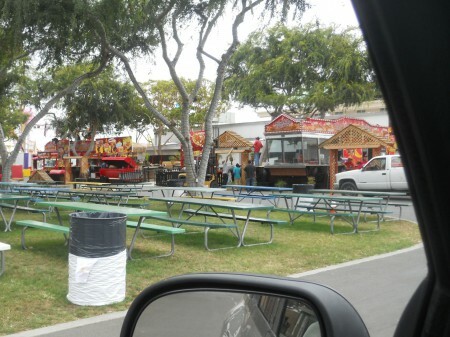 Come & Get It is the theme of this year’s Orange County Fair. 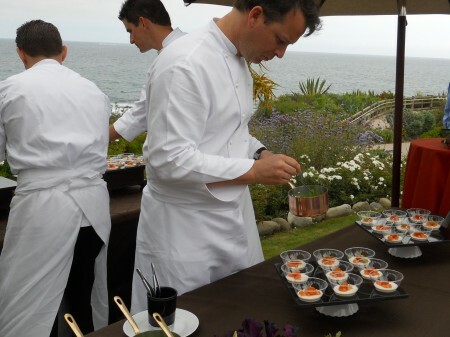 Taste Of The Nation Laguna Beach Hosts Annual Culinary Event. Tickets aren’t cheap, but have immeasurable value. We last attended in 2012. For more information, see official Press Release below. Photos were taken during last year’s event. THE HOTTEST CHEFS COOK TO FIGHT CHILDHOOD HUNGER IN ORANGE COUNTY AND ACROSS AMERICA — SOS’s Taste of the Nation Laguna Beach Hosts Annual Culinary Event. Hot chefs, restaurants, and mixologists will gather for Share Our Strength’s Taste of the Nation®, the city’s premier culinary benefit. Taste of the Nation Laguna Beach will raise critical funds needed to support Share Our Strength’s® efforts to end childhood hunger in Orange County and across the nation. This year’s event will be held on June 2, 2013 at the beautiful Montage Laguna Beach from 4pm to 7pm, with a VIP reception beginning at 4pm. More than 9 of Country’s finest chefs will participate in the gastronomic event. Along with Executive Chef Craig Strong, participating restaurants will include Lee Smith – Montage Laguna Beach, Lizzie Binder – San Francisco, Josiah Citrin-Mélisse – Los Angeles, Chris Crary – Santa Monica, Jenn Louis-Lincoln – Sunshine Tavern, Portland, Nick Roberts & Brooke Williamson – Hudson House/The Tripel, Los Angeles, Alan Wong – Alan Wong’s Restaurant, Honolulu. 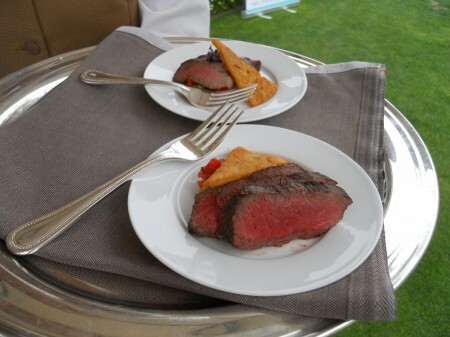 Guests will enjoy the finest foods paired with wines and cocktails. In addition to fabulous food and drinks, the event will feature an auction of extraordinary items including, A Wine Preservation unit from Sub-Zero filled with wonderful wines from the Jackson family valued at over $2,500. Sub-Zero’s 315W Model is a built-in single-zone wine storage unit with a capacity of 26 (750 ml) bottles. At 15″ wide, this undercounter unit is perfect for those installations where space is an issue. “We are thrilled once again to be back at the beautiful Montage and are grateful for their generous support and the support from our amazing celebrity chefs! Because of their generosity, 100% of our ticket sales will go to ensure No Kid Hungry is a reality in Orange County,” said Teresa Siriani Event Chair, Taste of the Nation Laguna Beach Area charities that will benefit from this year’s event include Community Action Partnership of Orange County and Second Harvest Orange County Food Bank. 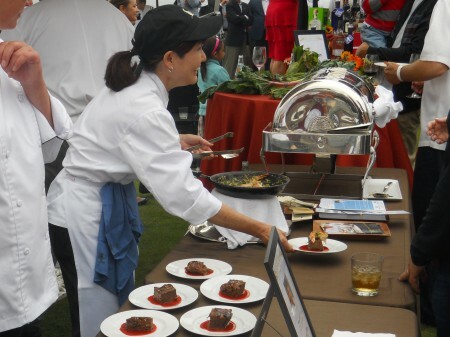 Since 1988, Taste of the Nation has raised more than $82.5 million, including more than $125,000 in Laguna Beach alone. With more than 16 million children facing hunger in America (that’s almost one in five), and 200,000 in Orange County Share Our Strength’s Taste of the Nation is more vital than ever. 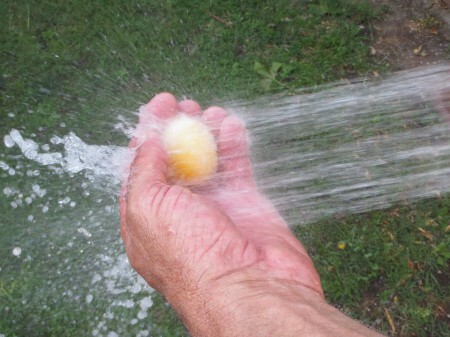 The event raises funds to end childhood hunger in America by connecting children with the nutritious food they need to lead healthy, active lives. Funds raised through Taste of the Nation events support No Kid Hungry™, Share Our Strength’s campaign to end childhood hunger in America. 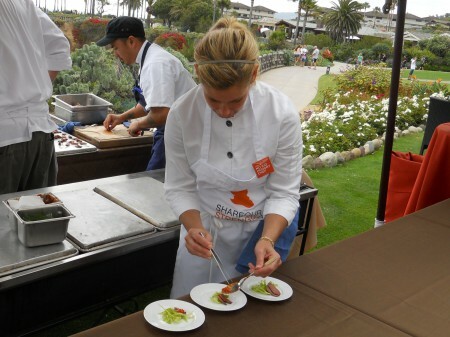 Taste of the Nation Laguna Beach is nationally sponsored by American Express, Sysco, Food Network, ONEHOPE Wine, Emmi Roth USA, Cavit Collection Wines, OpenTable and S. Pellegrino Sparkling Natural Mineral Water. 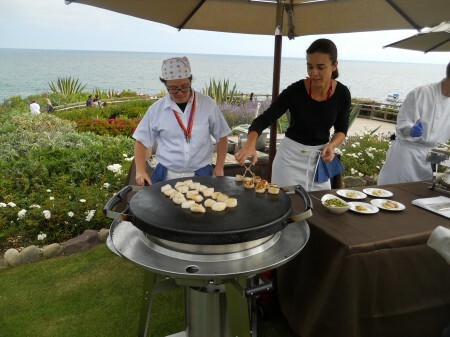 Taste of the Nation Laguna Beach is locally sponsored by Lexus, Celebrity Cruise, Orange Coast Magazine, Epstein Becker Green, Evans Family Foundation and ICG. One hundred percent of ticket sales support Share Our Strength’s efforts to end childhood hunger. 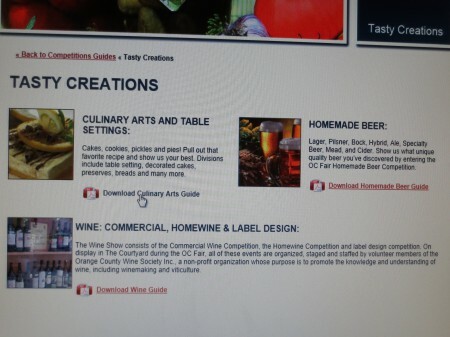 Tickets for Taste of the Nation Montage Laguna Beach are $150 for General Admission and $250 for VIP and can be purchased by calling 1-877-26-TASTE or visiting TasteOfTheNation.org. Share Our Strength’s Taste of the Nation® is the nation’s premier culinary benefit dedicated to making sure no kid grows up hungry. Each spring and summer, the nation’s hottest chefs and mixologists donate their time, talent and passion at nearly 40 events across the United States and Canada, with one goal in mind: to raise the critical funds needed to support Share Our Strength’s No Kid Hungry® campaign to end childhood hunger. Taste of the Nation is nationally sponsored by American Express, Sysco, Food Network and in select markets by ONEHOPE Wine, Emmi Roth USA, Cavit Collection Wines, OpenTable and S. Pellegrino Sparkling Natural Mineral Water. Since 1988, Taste of the Nation has raised more than $82.5 million. To purchase tickets or to get involved, visit TasteOfTheNation.org. No child should grow up hungry in America, but one in five children struggles with hunger. Share Our Strength’s No Kid Hungry® campaign is ending childhood hunger in America by ensuring all children get the healthy food they need, every day. The No Kid Hungry campaign connects kids in need to effective nutrition programs like school breakfast and summer meals and teaches low-income families to cook healthy, affordable meals through its Cooking Matters program. This work is accomplished through the No Kid Hungry network, made up of private citizens, public officials, nonprofits, business leaders and others providing innovative hunger solutions in their communities. 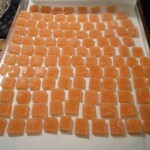 Join us at NoKidHungry.org. 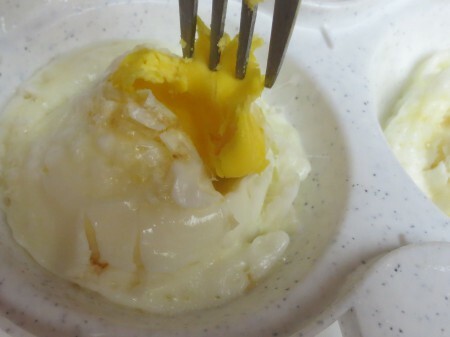 Ever Wonder What A Raw, Frozen Egg Looks Like Inside? 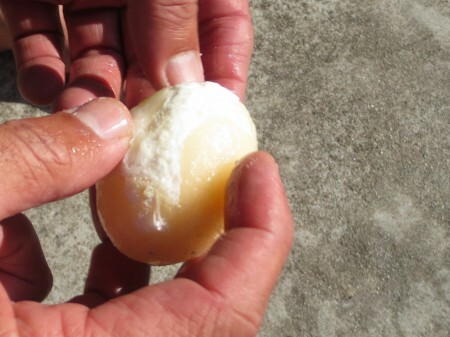 Have you ever wondered what a raw, frozen Egg looks like underneath its shell? 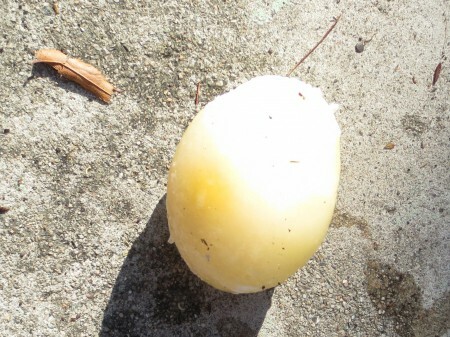 We wanted to know, thus froze an Egg and dropped it on the concrete to see what happens. 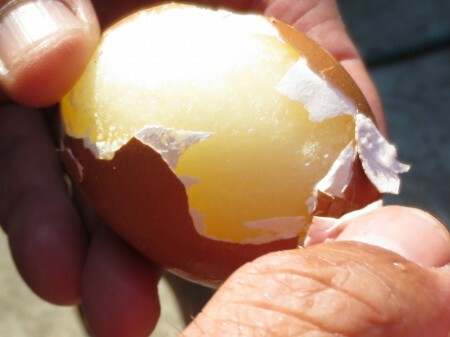 It didn’t crack, shatter or peel, like I hoped — We had to peel it, but it wasn’t hard to do. 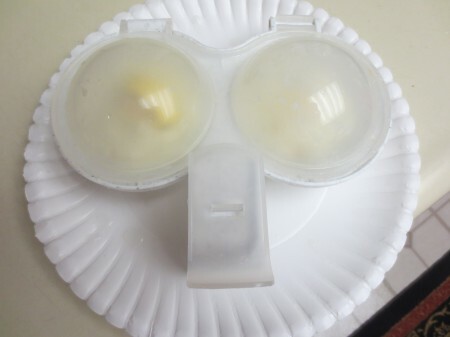 Our frozen Egg looked like this (below) underneath its shell. It was somewhat clear with an opaque cloudy line running through it. 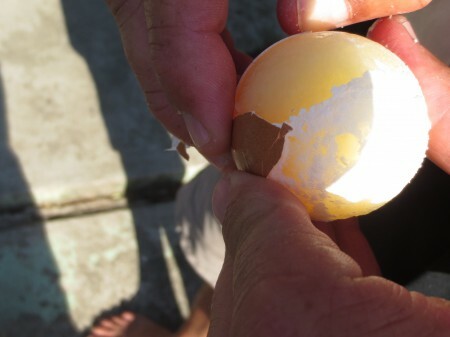 We threw it down (shell-less) a couple more times, but it wouldn’t crack. So we power washed it until it mostly disappeared onto now smelly grass — Hhmmmm. 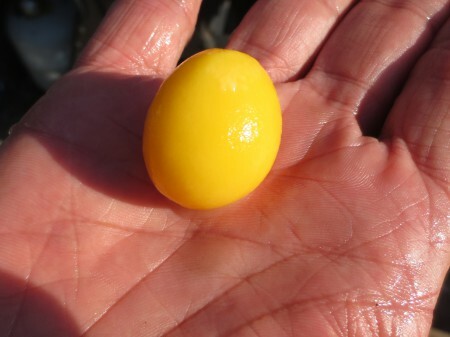 The Yolk became more and more visible. We won’t have to wonder what it looks like anymore — Check 🙂 . Ta-da! 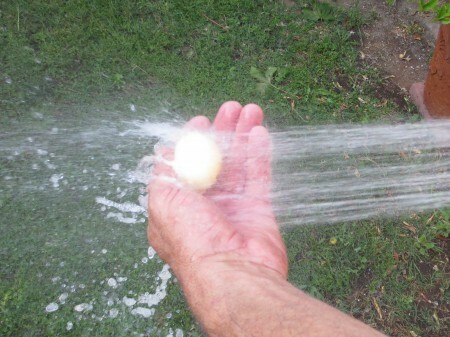 The Yolk wouldn’t disappear fast enough, so we gave it to the Dog. He’s still alive. 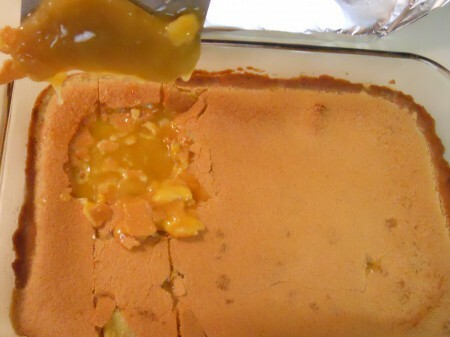 We probably should of cut it in half, but it’s too late now and our curiosity is satisfied. 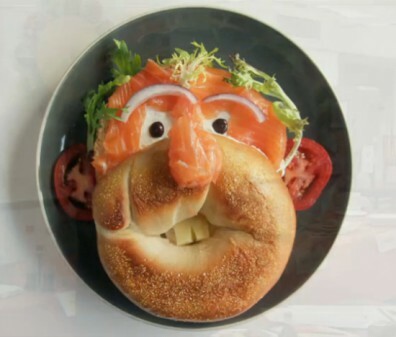 Bagels, Lox & Cream Cheese For Breakfast: Matt Is That You? Bagels, Lox, Cream Cheese and the usual accompaniments, Onions, Tomatoes, Capers, Baby Greens and tactically scored Cheese for teeth, could start your day off with a laugh — Der. 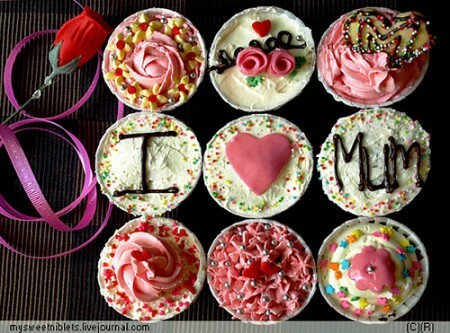 Public Service Announcement: Honor Thy Mother This Sunday & Always. 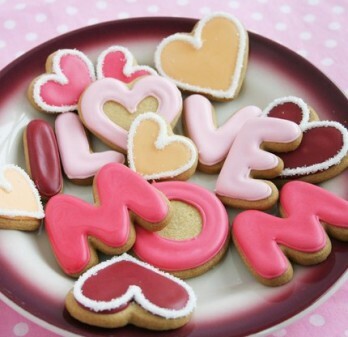 I sure appreciate my Mom — I’m reminded to visit and eat on Mother’s Day. Lucky me. I’ll try to be on-time and it’s likely my gift won’t be as stylish as these, so enjoy the photos. And/or create something unique, if so inclined — Pictured instructions for all above are here. 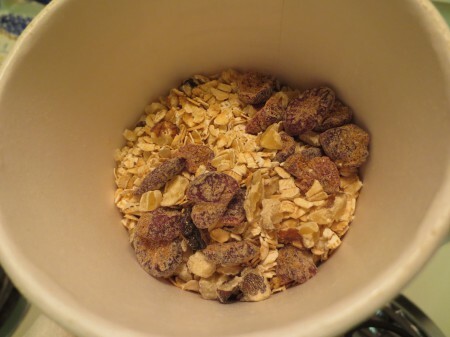 Snazzy Gourmet Oatmeal Snatched By The Dog: Not Too Snazzy. Peaches & Berry Bramble Natural Gourmet Oatmeal was what I wanted to try most, but nooooooooo, the dog ate it, I swear — This time it was true. It was too close to the end of the counter and got snatched over to the sneaky place, like too many casualties before it. 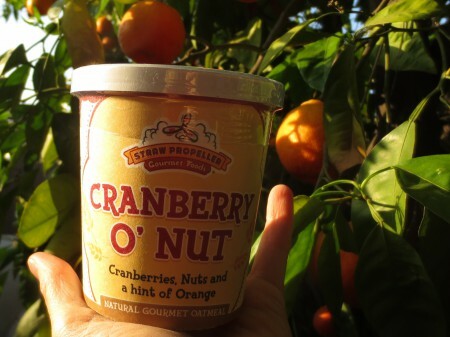 I was glad to still have the Cranberry O’ Nut Natural Gourmet Oatmeal to sample. 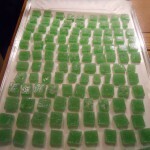 And was completely impressed with the clear tops — For that reason I’d want to buy it. 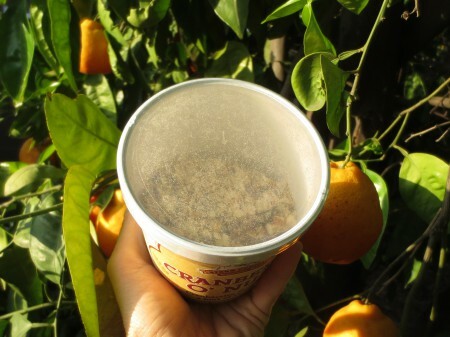 It’s great quality too — A little Hot Water in the Cranberry O’ Nut made an excellent breakfast. 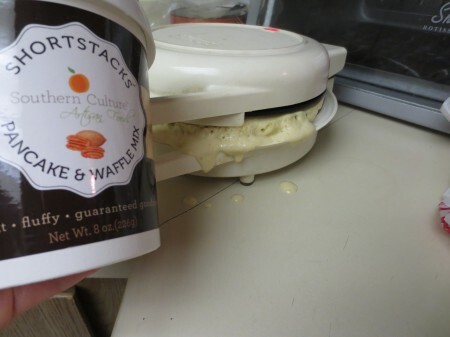 Also had to try the Bourbon Salted Pecan Pancake & Waffle Mix — Sounds so interesting. 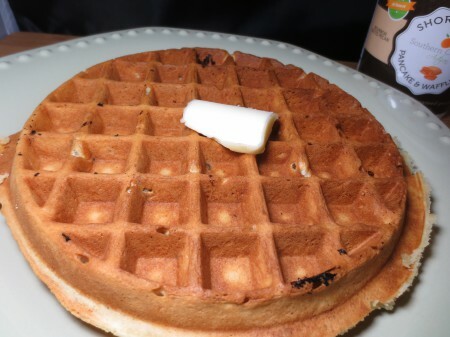 I made Waffles with the mix and they cooked up nicely, despite overfilling the Waffle Iron, but ultimately I wanted a lot more flavor from them. Overall it was fun sampling (and almost sampling) a few of the products sold on Snazzy Gourmet — They offer some cool food stuff. What’s Your Happiness Level Throughout The Day? 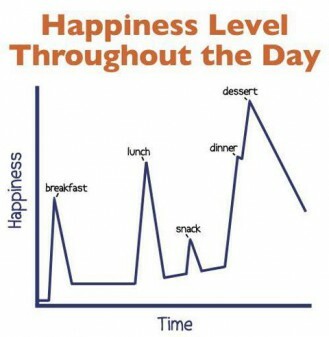 Does your daily happiness level look like this? Mine does. 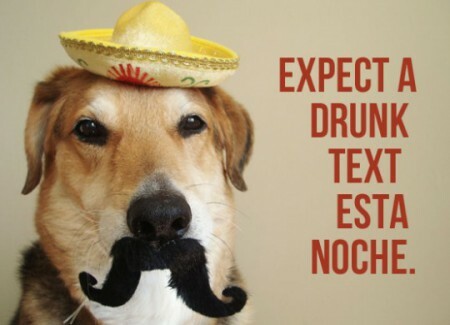 Cinco De Mayo: Cookies, Fruit Palm Trees & Post Margarita Texts. Happy Cinco de Mayo amigos — Ideas regarding what to make, eat and drink are here. 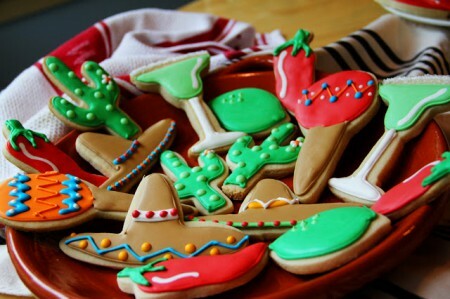 How about this for a Cinco de Mayo Breakfast? 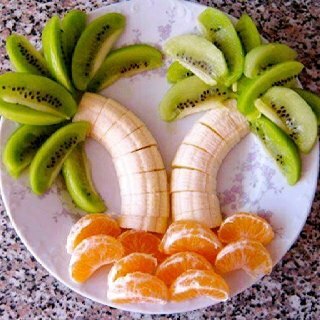 Assembled Kiwis, Bananas & Tangerines. Wendy’s Chili Cheese Fries: Nothing To Write Blog About Alone. 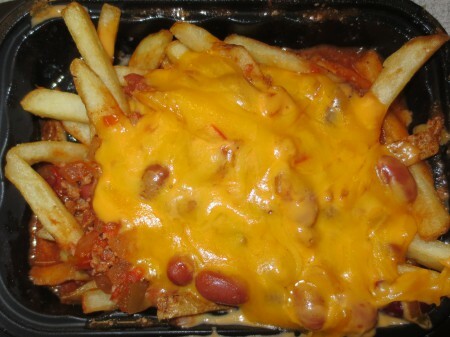 The purpose of this post is to publicize the addition of more Chili Cheese Fries to our Chili Cheese Fries Comparison Post — It’s Wendy’s Chili Cheese Fries which are made with Chili that’s meant to be served in a bowl with a side of Buttered Crackers, not poured over French Fries and topped with Cheese. I think not on this one. Better options are found here. 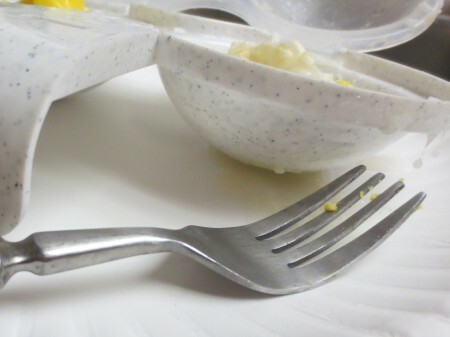 Seinfeld Food Related Moments: How About An Eclair From The Trash? 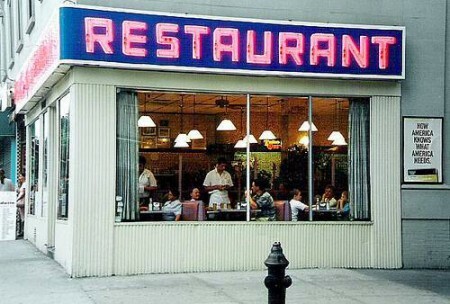 Seinfeld is still one of my all-time favorite shows — See (20) of its food related moments here. 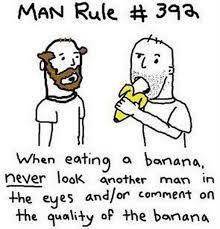 Eating A Banana In Public Can Be Tricky For Anyone: Just Bite It Man. 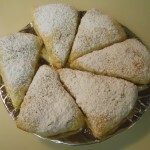 Best to slice ’em for Bananas Foster, Banana Cream Pies, Banana Bread, Banana Splits, etc. Photo credits here and here.